Nat Jennings nearly died the night her family was murdered - and spent the next three years wishing she had. Now, she is returning to the sleepy bayou town of Bellerose, Louisiana, driven by cryptic messages only she can hear - messages pleading for her help. After serving six years for a crime he didn't commit, Nick Bastille is back in Bellerose, mourning his precious son, who drowned while Nick was away at prison, unable to protect him. But when Nat approaches him with a shocking revelation, his denial slowly turns to a desire for revenge. 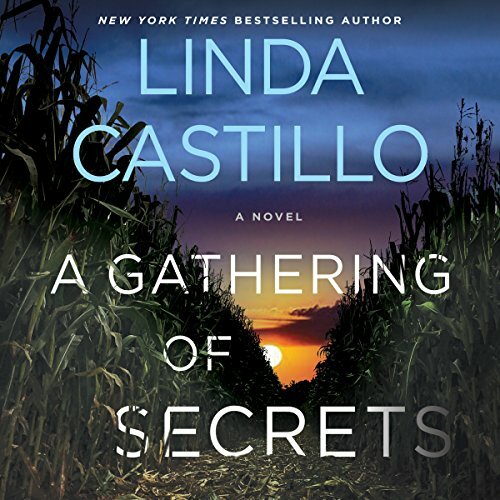 A deadly fire exposes the dark side of Amish life in this harrowing new thriller in Linda Castillo's New York Times best-selling audiobook series. When a historic barn burns to the ground in the middle of the night, Chief of Police Kate Burkholder is called in to investigate. At first it looks like an accident, but when the body of 18-year-old Daniel Gingerich is found inside - burned alive - Kate suspects murder. But who would want a well-liked, hardworking Amish man dead? Kate delves into the investigation and discovers Daniel had a dark side. He was a sexual predator. His victims were mainly Amish women, too afraid to come forward, and he's been getting away with it for far too long. Now someone has stopped him, but who? The women he victimized? Their boyfriends? Their parents? This series has my HIGHEST RECOMMENDATIONS!!!! A Gathering of Secrets is the 10th book in the Kate Burkholder series. I have previously reviewed the first three books as I was very impressed with them. 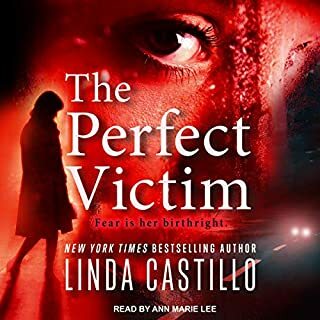 Seven books later and I can't wait for Linda Castillo to write another book! The series takes place in Painters Mill, Ohio where Burkholder (who had been raised Amish) is now the Chief of police. Well respected by fellow officers, generally head butting the town council and scorned be the Amish for leaving the church. The stories in this series are believable, the characters are fleshed out and given a personal life as well as public. Each book has a single and plausible main storyline, some have a minor story that usually ties in at some point. I won't say anything about this particular book, the publisher's summaries are very good and give just enough detail with out giving away too much of the plot. These are really EXCELLENT procedurals. Do Not let the fact that they take place in Amish country turn you off, these book are anything but plain! Kathleen McInerney narrates all of these books and does an outstanding job doing so. She even speaks the Pennsylvania Dutch language as if it were second nature. 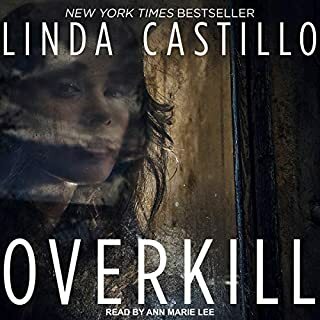 I've listened to most of Linda Castillo's Kate Burkholder mysteries and listened to them as audiobooks. I've really enjoyed the series. I was eager to purchase this latest book as soon as it came out. Unfortunately, I have to say that this is the weakest book in the series. It seems more like recycled, random parts strung together rather than a cohesive, compelling, and interesting mystery. Once again, there's a fire. Once again, an Amish girl commits suicide. Once again, we hear about Kate's past. What's lacking this time out is Castillo's normally intricate plotting. I figured out the likely suspects almost immediately. There was literally NO suspense. Also, when Kate discovered the truth of what happened, she did no follow up with the fire victim's family, which I found odd given the circumstances surrounding the death and the victim, himself. Kathleen McInerney again was fantastic with the delivery of the story. All the Kate Burkholder books are good. This is no exception but since it wasn’t the ABSOLUTE best, I gave the story a 4. What a great continuation of the Story of Kate Burholder how are the details of her life come up in her work as a police officer. Keep the series coming. This Kate Burkholder series (I've read every book) has become one of my all time favorite series. 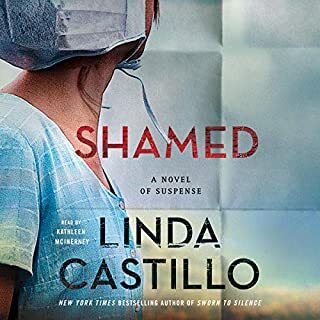 I've always loved the various Amish themed books but Linda Castillo has both raised the stakes and put a great spin on it. I love the mystery themes, a hard yet loving Police Chief who serves the local Amish community of which she used to be a part. There isn't the tropey sometimes whiney or angst soul searching. This is a more realistic portrayal of an ex -Amish woman who has made a life for herself among "the English". The romantic storyline with an FBI agent is a great bonus. I recommend this book and every single other one in the series. The plot was deep and uncovered a layer at a time. I never guessed the ending. I have grown to really love this series. The Amish influence and realistic presentation of this population is awesome. The storylines are inter woven beautifully with everyday life. And the sheriffs department in this painters mill town are enjoyable. I do so love these books, glad that the same narrator is use, makes for a great listen. Can't wait for the next one. 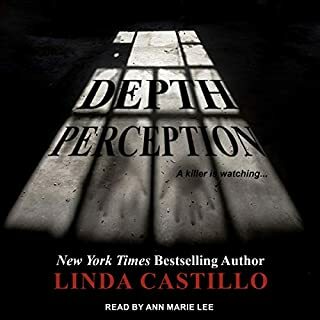 I have listened to all of Linda Castillo’s books and love her writing. Never a lull. 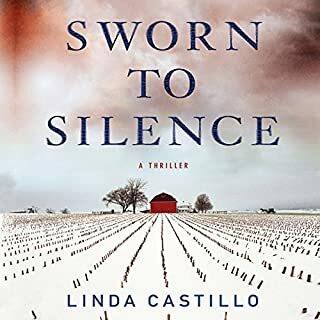 Linda Castillo always hooks my attention from the very start of her books and doesn’t let go till the last word. I love her writing style as well as learning so much about the Amish culture. She never fails to leave me wanting more after finishing each (audio)book, this one included. 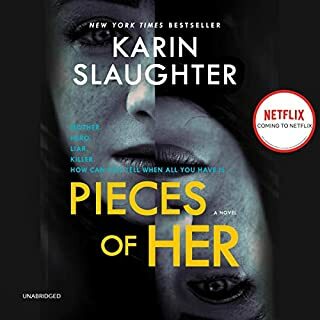 I must also mention the narrator, Kathleen McInerney...how this woman can change her voice, male or female, and allow listeners to easily differentiate who each character is utterly amazes me! She’s one of the best narrators out there!! Chief of Police Kate Burkholder is called in to investigate a death in a burned out barn. Is it an accidental? The victim, an 18 year old boy, at first appears to be a paragon of virtue, but on closer investigation this starts to change. During the investigation Kate has to face things from her past that cause her to question her role. Another good story from Linda Castillo.